Want to add a person to a small group? 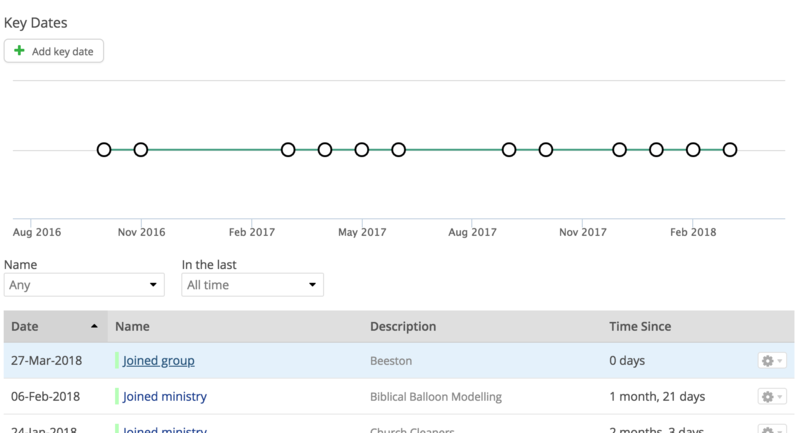 ChurchSuite makes it easy to stay on top of your church's small group ministry by making this as simple as possible. To add a contact or child to a small group, go to "Small Groups" > "Groups". Here you'll see a list of your existing groups. Note how you can switch to view past, active and future groups. Select the group from the list and scroll down the group page to the Members tab. Click the Add member button at the top of the members list. You can specify the Roles and Status and use the Search for people option to search for a person (contact or child) or contact tag. You can also tick to send a confirmation email (if a confirmation has been set up for the group) - which will be sent to the person/people being added to the group and also to those in the group whose role has "Notify of sign-up" enabled e.g. the Leaders (Go to Small Groups > Roles > Edit role to see these settings). Within ChurchSuite (and My ChurchSuite), children are indicated by a "child icon" next to their name on group lists and reports and when searching for members to add to a group. 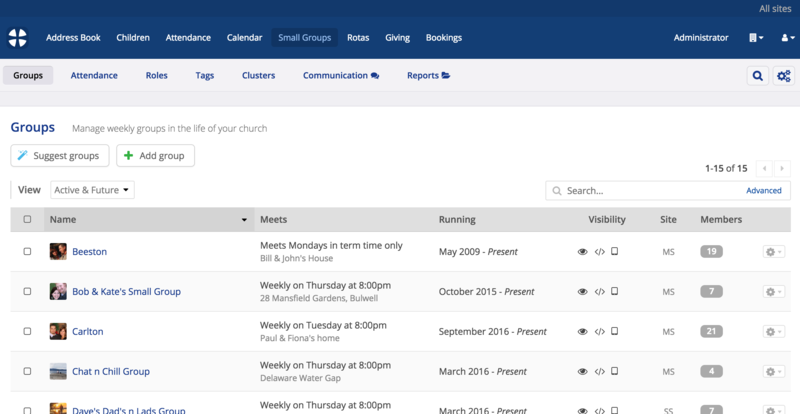 While child contact details will be visible to Users in your admin-facing ChurchSuite system, child contact details are never visible to group members in the member-facing My ChurchSuite. ...and amend the role(s) to be assigned as appropriate. Here you can also set the group member's Status - group members with a pending status are unable to view the group member list or receive group emails within My ChurchSuite until their group member status is set to active. ...and a Left group Key Date is automatically added when you remove a member from the group. ...and finally, here, when processing people through Flows that include an Add to small group action for the Flow's stage that you are processing. See separate support article on Flows. Go to Small Groups > Roles and select Edit from the action cog on the right hand side of a role (e.g. your Leader role). Ensure the Edit Group Details option is checked. You may also wish to enable Notify of Sign-ups too, so that group members with this role are notified by email when someone signs up to the group or when they are added to the group member list by a User (as shown in the previous section of this article). Save the changes before navigating away from the role page. Having configured the role permissions, all that remains is to assign the role(s) to the appropriate group member(s). A role can be assigned to multiple group members, or group members may have no role. ...and also in My ChurchSuite - from the Members list on the group page within the My Groups section. Those with appropriate role permissions (such as a leader) are able to edit a group member's role (click the three-dotted button on the right hand side of the member and select "Edit" ). Only group members with Edit Group Details permissions can assign roles. ...and add new members to the group using the Add member button at the top of the Members list. Only contacts or children that already exist in your ChurchSuite database can be added to groups. In addition to adding people to small groups in ChurchSuite and My ChurchSuite (explained above), ChurchSuite also includes group sign-up functionality to enable people to "sign-up" and join small groups of their choice. 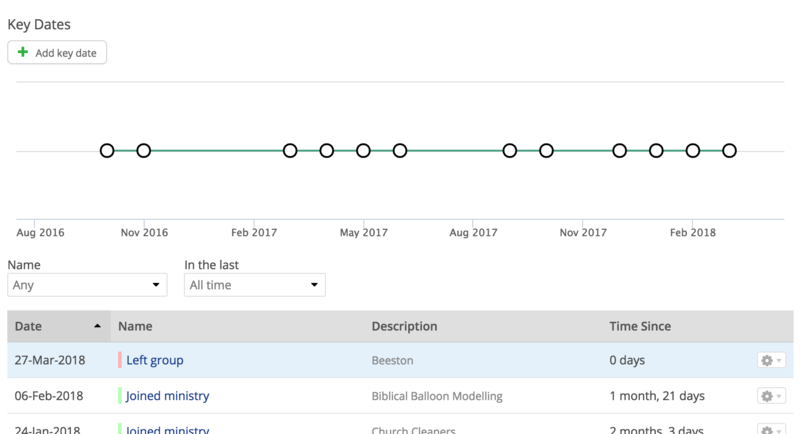 Depending on each group's sign-up settings in the Small Groups module, people can sign-up through My ChurchSuite, at your church information desk using Connect "Groups List", and also via your website Embed. See the related support articles for more information about group sign-up through My ChurchSuite, Connect and Embed. It's also possible, on a group-by-group basis, to set whether new sign-ups are added to a group's member list with an 'active' group member status, or with a 'pending' group member status, which requires a leader with appropriate role permissions to approve the 'pending' sign-ups by activating them. This "approvals" option can be helpful where you want your leaders to choose whether to accept or decline people to the group, or where the group runs a waiting list. In this way, pending status members will not see the group's member list until the are first activated - either by a User in ChurchSuite, or by a leader in My ChurchSuite. Note: If a leader decides not to activate (approve) a new group member, they will still need to contact that pending group member to let know - no notifications are sent to removed members. Those who sign up to a small group are automatically added to the group's member list in ChurchSuite; although they may not yet see that list themselves in My ChurchSuite depending o the Member List setting or their Pending group member status. You can easily view a list of those who have signed up - head into the Address Book module > "Key Dates" section and locate the "Joined group" key date. Optionally specify a range of dates within which you wish to filter and view sign-ups. Those who sign up through the small group embed with details matching those of a person already in ChurchSuite will automatically be added to the relevant small group's member list, in much the same way as if they had signed up through My ChurchSuite. 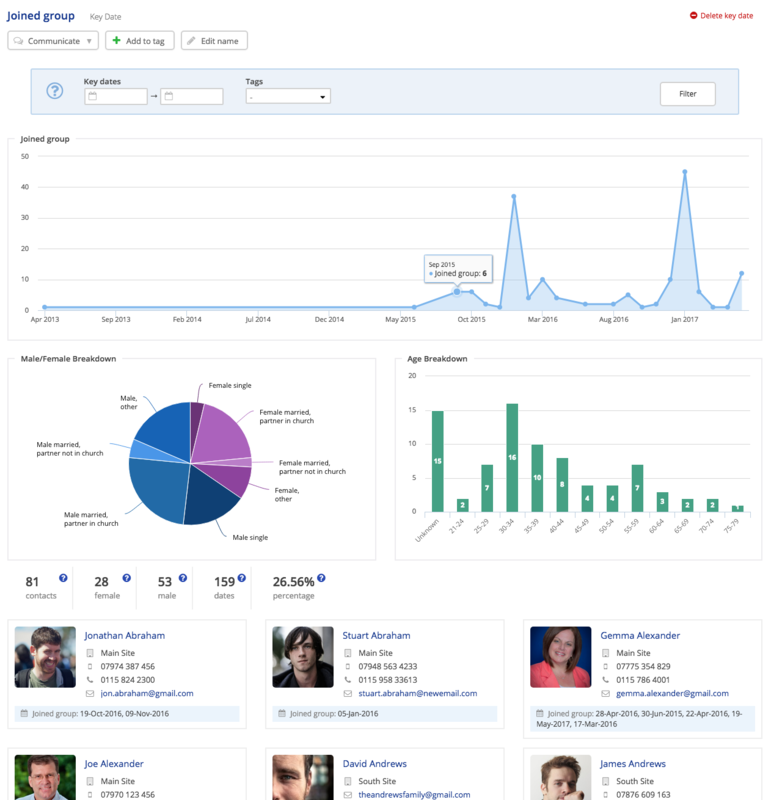 However, those who sign up through the embed with unique details (i.e. details not matched to an existing person) will be added to ChurchSuite as a brand new contact, and will then be added into the relevant small group. New contacts added to ChurchSuite via Embed are always created in the Address Book with a pending contact status (not to be confused with a pending group member status that may also have been set for the group - see later). New people added through the Embed with a pending contact status will still show in the group's member list in both ChurchSuite and My ChurchSuite; however none of their contact details will be visible to their fellow group members until they are 'set active'. 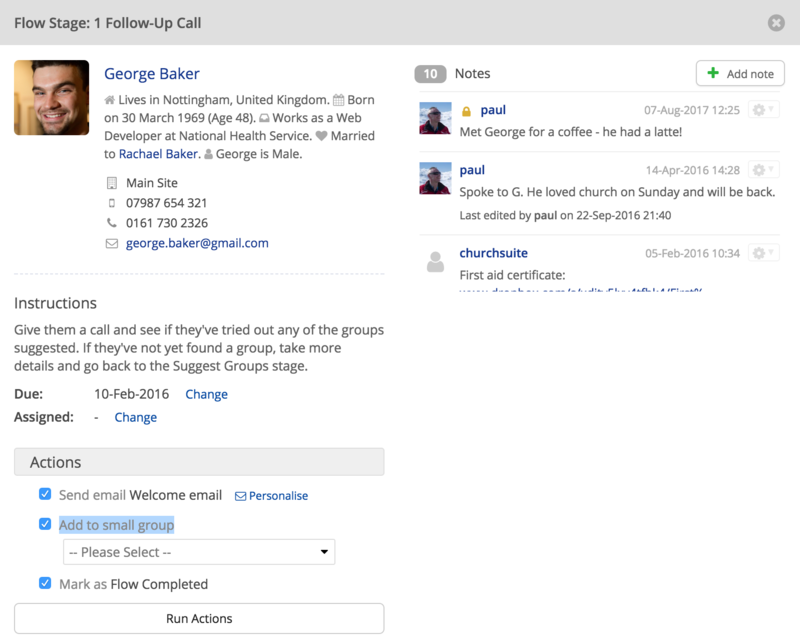 A User can review and approve new contacts within ChurchSuite, changing their contact status from 'pending' to 'active'. Simply click through to their profile page in the Address Book and click 'Set active'. Staying up to date with new people added through the embed is easy. Just ensure that you set up an email alert to be sent out every time a new Contact is added through the embed. To do this go to the Address Book Module Options (by clicking on the admin cog in the top right corner); you'll have to have manage or admin access to the Address Book to do this. 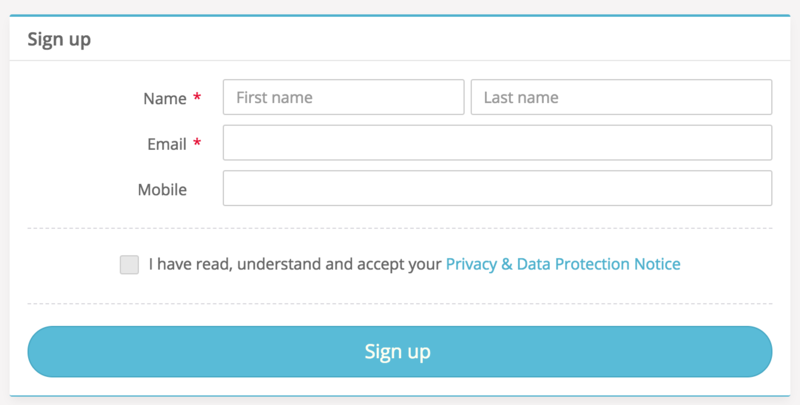 Then go to the 'Embed' tab and ensure the relevant email address is entered into the 'Notifications' field.